The Wisconsin Open Enrollment period opens February 4! 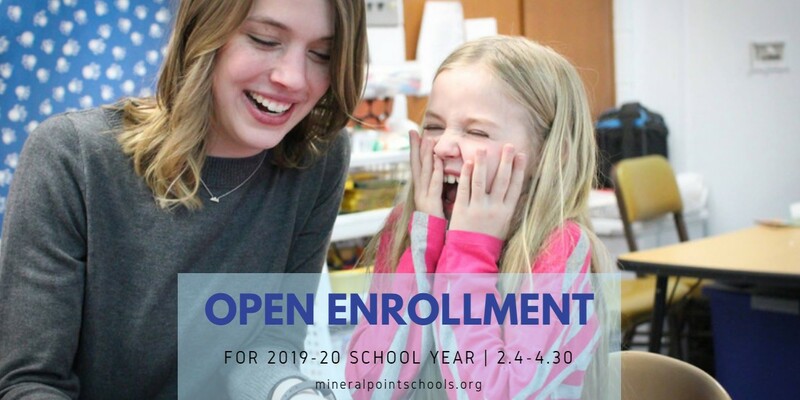 Any families who do not reside within in the boundaries of the Mineral Point Unified School District may apply to have their child(ren) attend school in #PointerNation for the 2019-20 school year. The open enrollment application period for the 2019-20 school year is from February 4 through April 30, 2019. The application period closes at 4:00 p.m. on April 30, 2019. We look forward to welcoming you in #PointerNation!